One of the major fears of computer users, be it laptops or desktops is the fear of a hard disk crash. Hard disk crashes leave trails of disappointments and heartbreaks because your files and documents are affected, most times irreversibly. A lot of factors are responsible for hard disk crash, many of which we do without thought. When you repeatedly do these things, it is just a matter of when, not if, your had disk will crash. 1. Rough Handling: Dropping your laptop anyhow, placing heaving objects on your computers can easily crash your computers. For a laptop, a knock by a filled canned drink on the keyboard/trackpad area is enough to send your drive to the grave. Consequently, avoid direct knock by any heavy object around this area. 2. 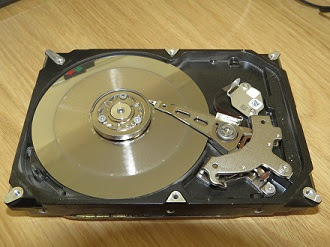 Forcefully Shutting Down With The Power Button: Your hard disk contains a rolling magnetic disc which is constantly in motion when your computer is on. Abruptly shutting down your computer over some time will definitely affect the disk. Don't be in a hurry but follow the standard shutdown process. 3. Overworking/Overheating: Overworking your computer causes excessive heat which not only crashes your hard disk but can also kill your processor. You can avoid these by ensuring your PC fan works efficiently and working in a well-ventilated room.